Sammy Kiprop Kitwara set a Spanish all-comers’ record at the 2017 Maraton Valencia Trinidad Alfonso, the 31-year-old Kenyan produced a 2:05:15 effort to finish almost a full minute inside the previous record, moving to seventh on this year’s world list in the process. Ethiopia’s Aberu Mekuria Zennebe won the women’s race in 2:26:17 to improve on her fourth-place finish from last year. The 33-year-old finished almost a minute ahead of Belarusian Volha Mazuronak. The Trinidad Alfonso EDP Valencia Marathon is held annually in the historic city of Valencia which, with its entirely flat circuit and perfect November temperature, averaging between 12-17 degrees, represents the ideal setting for hosting such a long-distance sporting challenge. 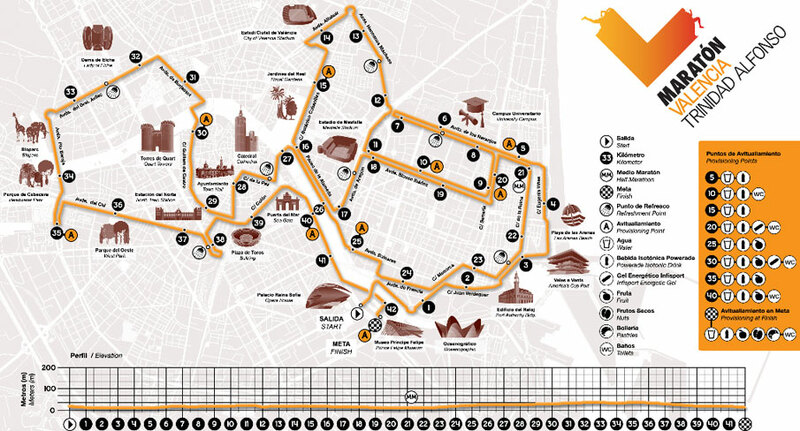 This, coupled with the most incomparable of settings, makes the Valencia Marathon, Valencia, one of the most important events in the national calendar. In the 2015 edition, the race beat all time records with the best on Spanish soil in history, obtained by the athlete John Nzau Mwangangi with a 2:06:13 crono. In addition, as every year the race surpassed the registered participants in the test with a figure that rose above the 17,000 participants. The Trinidad Alfonso EDP Valencia Marathon was awarded IAAF Road Race Gold Label in 2016, which proves that it is one of the best 42,195 meter races in the world. More than 19,000 runners gathered together at the start line of the marathon. 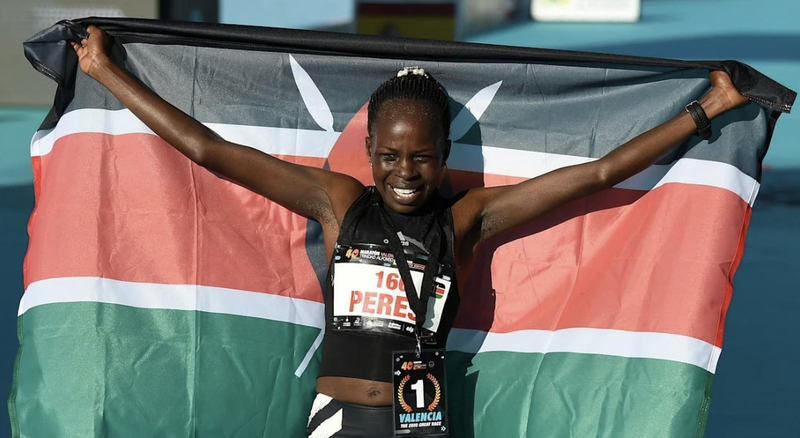 The winners were Victor Kipchirchir in the male category with a time of 2:07:38 and Valary Jemeli Aiyabei, who did the best time in the history of Spain and crossed the finish line in 2:24:49 improving the time she had done in Barcelona in the same year. Running alongside the Mediterranean coastline, a fewmeters from the sea, taking place in areas of the city where events such as the Formula 1 Grand Prix and the Americas Cup werehosted are only a few of the attractions awaiting the participants when they takepart in the Valencia Marathon. The stunning Ciudad de la Artes y las Ciencias (City of Arts and Sciences) will serve as the nerve centre of this prestigious event that promises to be a sporting celebration. This architectural masterpiece will not only be both the starting and finishing points of the race but also, it willbe the site of the numerous parallel activities planned for the big day. Exceed your expectations as you pass over the shimmering blue pools of the Museo de las Ciencias (Science Museum) Príncipe Felipe and celebrate your triumphant return in this unforgettable setting. Celebrating its 30thyear, the ValenciaMarathon, inaugurated in 1981, is both a joyous event and one of the highpoints in the Spanish athletics calendar. Three decades ago, the word Marathon hardly even figured in the Valencian’s vocabulary. Today, thanks to the efforts of various Valencian institutions together with SD Correcaminos (The Roadrunners, sporting association), these 42 kilometres have been adopted as a popular celebration of athletics where professionals and amateurs test to the limit their stamina and powers of personal endurance and perseverance. What started out at the dawning of the 80’s as little more than a trickle of athletes dodging the local traffic, has now become a grand sporting happening. The Marathon has evolved into the leading event in the world of popular athletics and now forms an integral part in the Valencian social and sporting life. For these reasons the Valencia Marathon has ceased being merely a challenging athletics meeting to being an all inclusive citizens’ celebration, taking in music and art too, and all this united in support of a group determined runners’ dreams of crossing that hallowed finishing line. The Marathon sees the ringing in of some important new changes as part of our continuing commitment to furtherdeveloping the race. The event date has been moved to November (to take advantage of the more favourable climatic conditions) and both the starting and finishing lines have been relocated to the Ciudad de las Artes y las Ciencias to ensure that the Valencia Marathon will be one of the most memorable appointmentsfor the participating athletes.